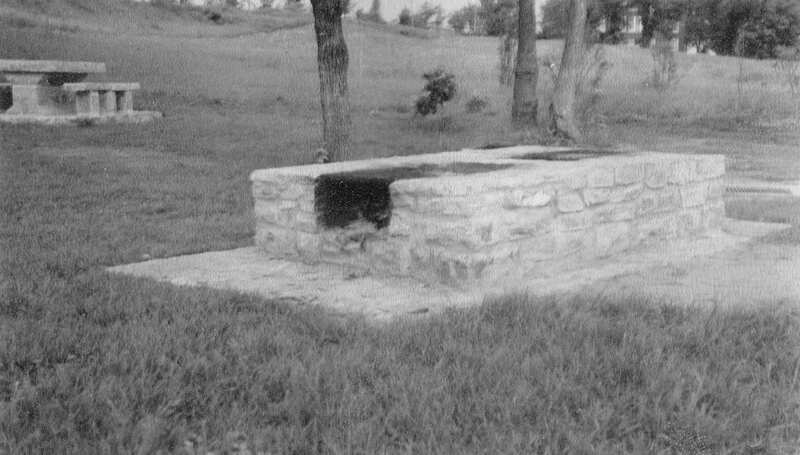 Located in the northest corner of Highway 100 and Glenwood Avenue in Golden Valley, Minnesota, it included picnic tables and a rectangular fireplace with two grilling areas. Sadly, few photos exist. Since it was removed in 1959, it was not included in MnDOT’s Historic Roadside Development Structures Inventory in 1997. 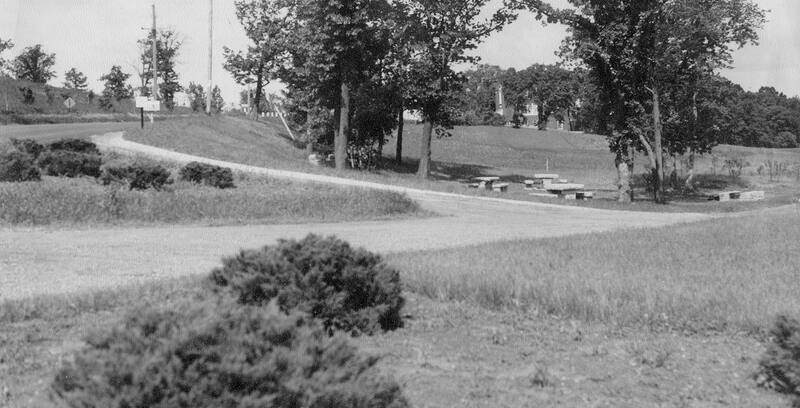 What did the WPA build in Glenwood Avenue Park in 1939? The photos (above) are looking W from Highway 100, with Glenwood Avenue on upper left, and Lilac Drive (frontage road) cutting right. On the other side of our home was The Annex, a brick school building connected to Meadowbrook School which was down the small hill from the Annex. I believe The Annex has been a Boy Scout building in recent years. This school was located just west of Glenwood Avenue Roadside Parking Area. 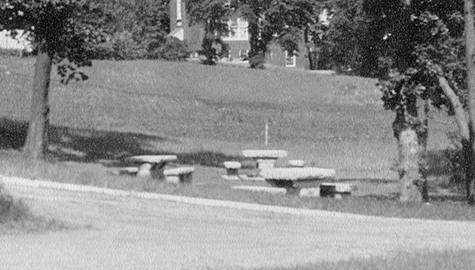 Sadly, this park was razed in 1959, so it was not included in MnDOT’s 1964 Wayside Rest Area Inventory or their 1997 Historic Roadside Development Structures Inventory.